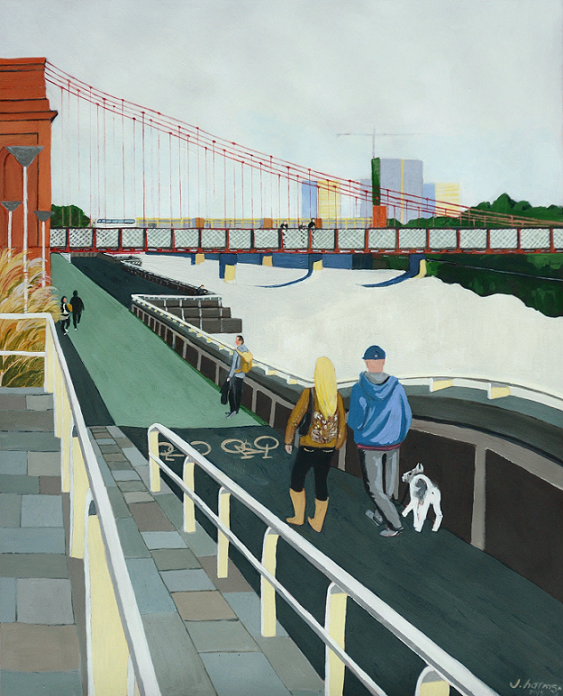 Walking Clyde 2015 | J.Harms. Walking Clyde 2015. J.Harms. Acrylic on red paper. 40×50 cm. I visited Scotland in September 2014. I spent a couple hours in Glasgow walking about the city center. I was drawn by the lines and colors of this particular scene. When I think of Glasgow, I see warm greys, oranges and reds. I would have liked to spend more time visiting and hope to go back someday soon.